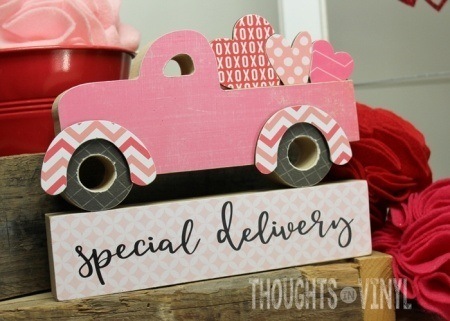 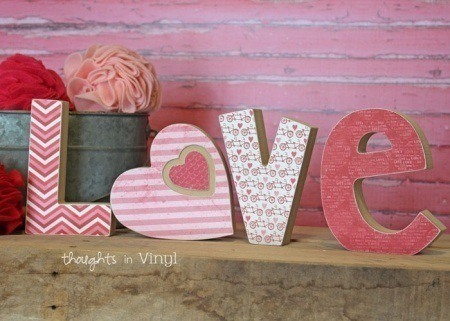 This Valentine's Day craft is adorable! 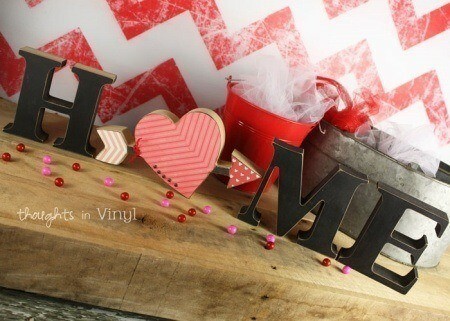 The wooden kiss shape and letters come unfinished and ready for your creativity. 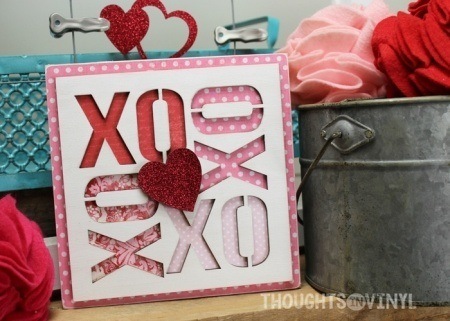 Finish the lips and letters with scrapbook paper or paint and then embellish with ribbon, ect.